This center in downtown Charlotte business district is home to the shops and entertainment of the city. Take a team outing to Levine Museum of the New South, Carolina Theater or Discovery Place Science. Grab a bite at Mert's Heart and Soul or Rock Bottom Restaurant and Brewery and a drink after a long day at Sports One Charlotte. Visit the on-site management team to help you find your flexible office space today! Brand new office space located in area with excellent growth potential. Easy access to major highways and Charlotte Douglas International airport. Conveniently close to a variety of world class entertainment. Brand new business centre in mid-rise building located in highly sought after corporate park. A variety of different sized and fully furnished offices offer state of the art technology and amazing views. Easy access to I-485. Virtual programs that include professional call answering with several customizable packages are also available. Highly-qualified administrative staff are available to assist with concierge services, administrative functions and technology assistance. This impressive and spectacularly equipped premium business complex set in the heart of the beautiful and exclusive Ballantyne Corporate Park offers the perfect working conditions for any corporate workspace requirement. Endless array of services and amenities being offered like concierge services, cutting edge technology, flexible terms, single and multi-office suites, conference rooms and generous parking. Conveniently close to major cities, CDI airport, restaurants, lodging and shops. Combining work and fitness this location is Charlotte"s first "co-fit" facility, a fantastic workspace for members who want lifestyle balance. At this space you can essentially work, exercise, learn, and be social all in one location! The regional transport links are also excellent and provide all prospective tenants and commuting visitors to the site with a range of frequent and convenient travel options. This efficient office space provides clients with a long list of premium amenities. This center boasts two conference rooms, one large and one small, that come fully equipped with all of the tools needs to run an efficient meeting/training session. Beverages and internet are both included in the month membership fee. Flexible leasing packages allow for businesses to select the best pricing plan available. Premier office suites offering gorgeous views of Charlotte. A variety of premium corporate services to meet all types of business needs. Convenient access to world class entertainment, Charlotte Douglas International Airport, shopping and dining. The Piedmont Town Center is right across the street and offers 87,500 sq ft of retail shopping and restaurants, luxury residential apartments and home to the Piedmont YMCA. Office suites offering breathtaking views of Charlotte skyline. This centre offers ready to use cutting edge technology, conference rooms and professional staff. Convenient access to major businesses and entertainment. Highly accessible but out-of-town, this center is opening soon and is just a 20-minute drive to central Charlotte. The non-branded offices will have 24-hour access and additional services such as AV equipment. This exquisitely furnished, technologically innovative and extremely modern business center location in the vibrant and exciting college town of Charlotte is now offering various high class amenities, services and state of the art facilities to meet specific business needs. Enjoy access to virtual offices, conference rooms, professional staff and cutting edge technology. Easy access to major highways, lodging, shopping and dining. State of the art business centre boasting a beautiful reception area, lounge, cutting edge technology and complimentary parking. Easy access to downtown Charlotte, Charlotte Douglas airport, major highways and businesses. Contemporary office complex with on-site lounge and disabled access. Centrally located with easy access to an array of successful business, all sorts of entertainment and convention centre. Office space located in beautiful high rise offering professional team and large training room. Great access to fine dining, lodging and shopping. Office space set in a brand new and modern facility offering services and business solutions to meet all kinds of needs. Centrally located with easy access to major transport links and surrounding cities. Occupying a breathtaking building which features an elegant portico leading through to a beautiful lobby area, this address will create an excellent first impression. Easily accessible from the airport and downtown, this area is home to many high-profile companies. 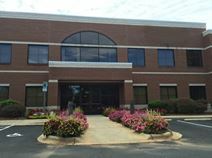 Located just outside of Charlotte"s light-rail Stonewall stop this beautiful glass-fronted building is full of natural light and offers private offices and dedicated desks in a creative and relaxed environment. Members are supported by an on-site team during weekdays to help with the running of your business. 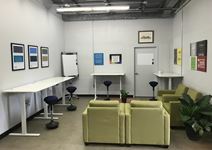 With easy access to Route 277 and less than a mile from the City Lynx train station this new workspace is easily accessible in Charlotte"s second ward. Both private and co-working options are available from the 27th floor of the building and with large windows members have wonderful 360 degree views over the city. A magnificent center situated in central Charlotte, NC providing a range of office-spaces available on flexible terms. All work-spaces arrive fully furnished and benefit from plenty of natural light throughout the day. Tenants can make use of the spacious meeting rooms, conferencing facilities, business lounge and reception. The area is filled with local amenities including plenty of bars, restaurants and cafes. Public transport links are copious as well, providing easy road, rail and air links across the city and country. Situated within a prime and highly sought-after 16 acre office park setting that is highly accessible from I-485 and the other convenient transport networks found throughout the locality, this Class A office space has a contemporary downtown feel to it, while corporate professional tenants are close to the Highway 51 submarket, south of Charlotte and just 30 minutes from Charlotte Douglas International Airport. Premiere offices offering state of the art technology and telephone system as well as top notch mail services. Easy access to major roads, within minutes’ to Charlotte-Douglas International airport and coliseum. This center will help you with setup and teardown, as well as help you coordinate any event catering you may need. All meetings include the use of Keurig coffee maker, triple-filtered water cooler with hot, cold and room temperature water, microwave, a large countertop for any catered food, the supply of tea and K-cups, 52 feet of a whiteboard, Projector and large screens for presentations. This facility has video conference rooms, rentable office space, podcast studio and multi-media friendly amenities. 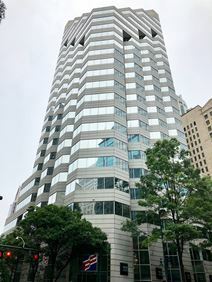 Situated just one block from the BB&T ballpark in the heart of uptown Charlotte, this contemporary, luxurious and modern office building provides a mix of professional co-working spaces, private and serviced office suites and spacious meeting and event areas all as standard and available to all occupying tenants, at exceptional value. 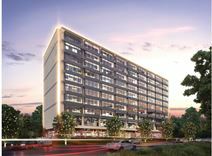 The area features a number of incredible amenities and sites of public interest, as well as boasting excellent and convenient transport links. This exquisitely furnished and contemporary new office space provider and corporate business location is set in one of the most desirable and highly sought-after business districts in all of the immediate area; offering and providing a wide range of highly advanced and innovative technological facilities and equipment; making this the ideal location for professionals to base corporate operations from in a vibrant and exciting working environment.